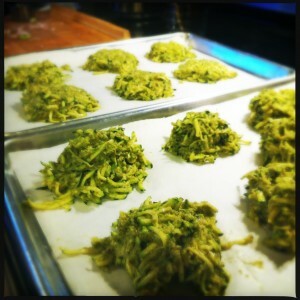 Fava bean and zucchini fritters! I finally found it!! The perfect recipe to use the last of my garden fava beans I pulled in, shelled, and had in the freezer, waiting to be skinned – zucchini and fava bean fritters. 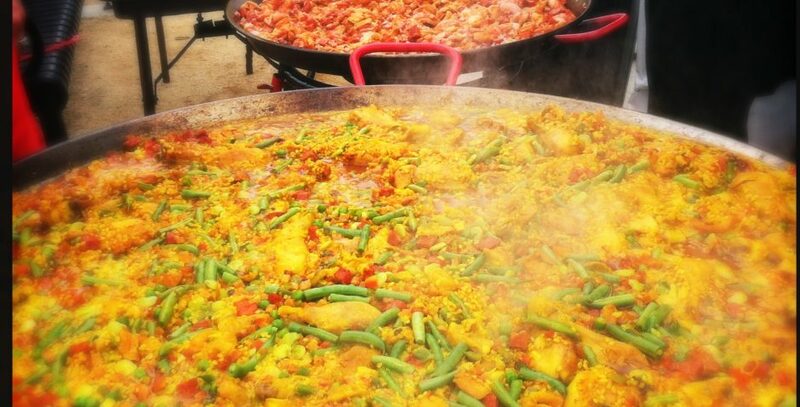 YUM, right?! I mean, who doesn’t like a fritter. And these are baked, so healthy right? I can eat as many as I want. And right after Memorial day, we are on the cusp of summer but still hanging on to spring, so a marriage of the two seasons with spring fava beans and summer zucchini was a inspired find on the internet. I don’t have any zucchini growing in my garden, so off to the store I went to get some. To be honest, I’m not the hugest fan of zucchini. I like crisp, firm veggies and zucchini can get a little mushy sometimes depending on how they are prepared. But this recipe calls for them being shredded – perfect. It’s almost like making zucchini bread – my truly favorite way to eat a veggie: with a load of carbs. So off to skin the fava beans… I had shelled them already and had them in a ziploc bag in the freezer (after freezing them on a sheet pan so they wouldn’t clump together of course). 10 minutes back on a sheet pan to defrost, these puppies started slipping out of their skins. 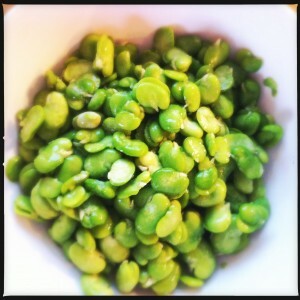 I admit, they are a lot of work but SO worth it if you ever have access to fresh favas. The next step was to shred the zucchini, then put the favas and all the other ingredients in the Cuisinart. I had some left over olive tapenade so it worked out perfectly! I panicked when I realized I didn’t have any breadcrumbs in the pantry, but that only lasted for a minute – left over crostini’s I had used for apps the previous weekend came to the rescue. I mashed those up in the bag and presto breadcrumbs!! Fritters ready to be baked off - one sheet 'rustic' the other more formed. The bean paste got mixed up with the shredded zucchini and plopped into little mounds on sheet pans with parchment paper liners. Into the oven at 375 deg for 30ish minutes and these “fritters” were delightful! I’m curious if they’d be better done the real way, deep fried. Curiosity might kill that cat next time… Until then, I’ve been enjoying them for breakfast, lunch, and dinner! Golden brown zucchini and fava bean fritters, drizzled with Extra Virgin Spanish Olive oil. Fritters are typically fried; these are baked to cut the fat. Just about anything can become fritterish; all you need is something to hold it together, such as egg, breadcrumbs, and/or mashed beans. This one has all three. Preheat oven to 375F.Shred zucchini in the food processor using the grater attachment. You could grate this by hand too but it takes a while and kind of defeats the quick ‘n’ easy point of this dish. Set zucchiniaside in a large mixing bowl. Put the blender attachment in the food processor. Put the remaining ingredients in it. Blend well. Pour into the bowl with the zucchini and stir to combine. Lay a sheet of parchment paper on a baking sheet. You can also grease a sheet instead of using the paper but I find parchment to be pretty much stickproof and it makes cleanup easier. Take tablespoons of the mixture and blop it onto the sheet to make little patties. Bake at 375 till lightly golden; about 25-30 min. Let cool slightly before serving, as the patties will solidify a bit. 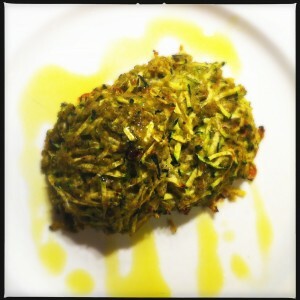 This entry was posted in Quick Dinners and tagged fava, fritter, zucchini. Bookmark the permalink. 3 Responses to Fava bean and zucchini fritters! I hope you had them with a nice chianti. ha! Are they going to make you gassy?